Price listed is for 1.5 ounces of mixed beads. 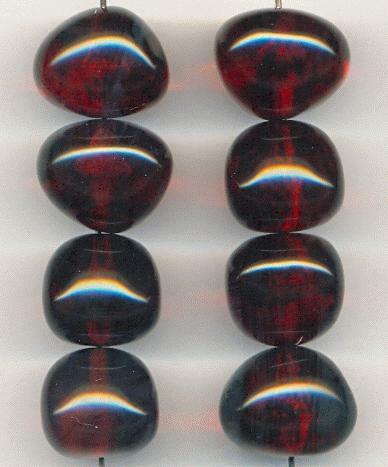 These are imitation dark amber beads that range in size from about 16/14mm to 18/15mm. They are either acrylic or possibly Lucite. Some of these beads have small bubbles inside. The holes of these beads measure approximately 1.3mm but sizing may vary from bead to bead. There should be about 15 beads in 1.5 ounces.